That girl’s been balancing there for an awfully long time. She must have really strong toes. Or really steep arches. How long’s this gonna last? I’m mesmerized. 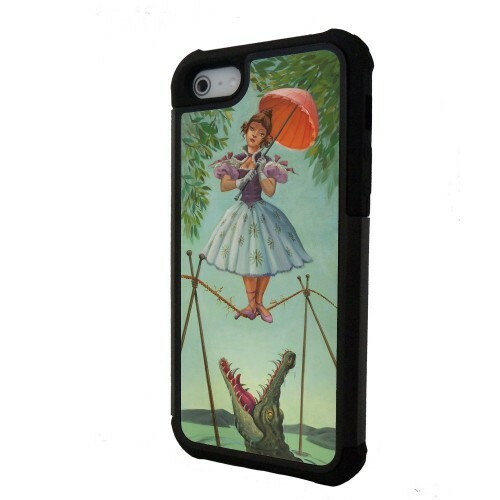 So mesmerized that I need this Haunted Mansion Cell Phone Case so I can stare a little longer. This one fits the iPhone 6, but it’s also available for the iPhone 5 and 5s, and the iPhone 6 Plus. Don’t forget to check out our Favorite Disney iPhone Cases Gift Guide. We also have a Gift Guide just for Our Favorite iPhone 6 Cases. Or head over and take a peek at the World’s Greatest Haunted Mansion Stuff!